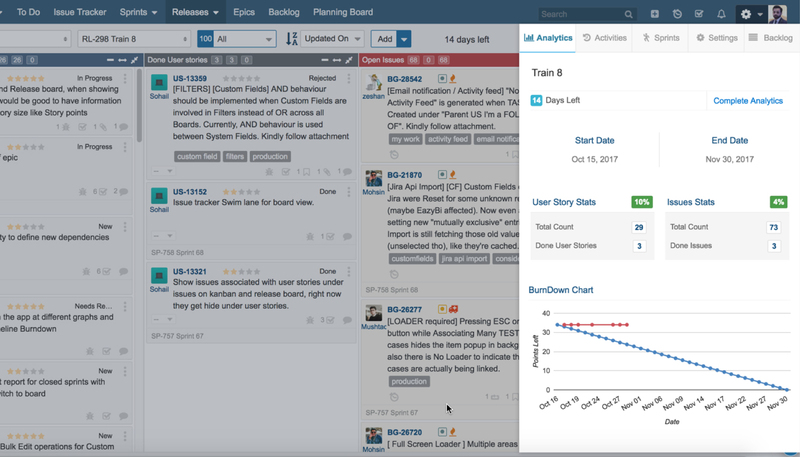 Get the clarity, collaboration, and control you need to power your agile process company-wide. With unlimited projects and great features, it scales to fit your business needs, no matter how big or small. Smart analytics provide instant visibility on the complexity, size, trend, and insights into your Backlog. There isn't a thing that you can't do with Yodiz Backlog! Feature management can’t get easier than this. Define your customer journeys and key functionalities. Prioritise features to set the right focus for the project and get detailed analytics on stories. The perfect board for daily scrum and sprints tracking. The easiest way to plan, track and manage releases. Forget about individual views to understand what is happening. 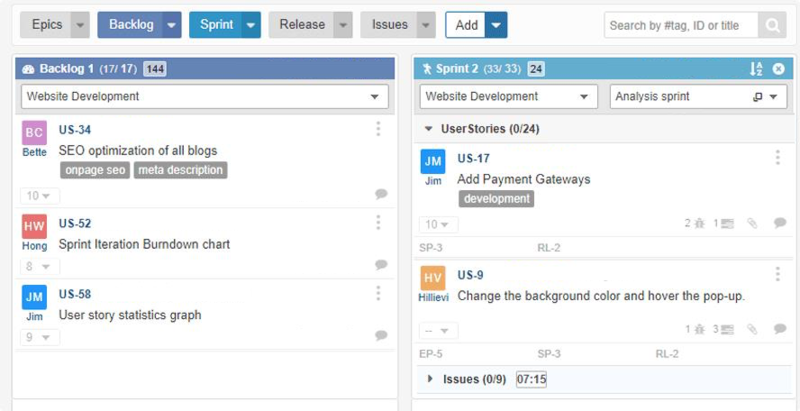 Visually see which sprints are linked to the release, and how each sprint is going to make sure you have the best release management experience. The ultimate board for planning. 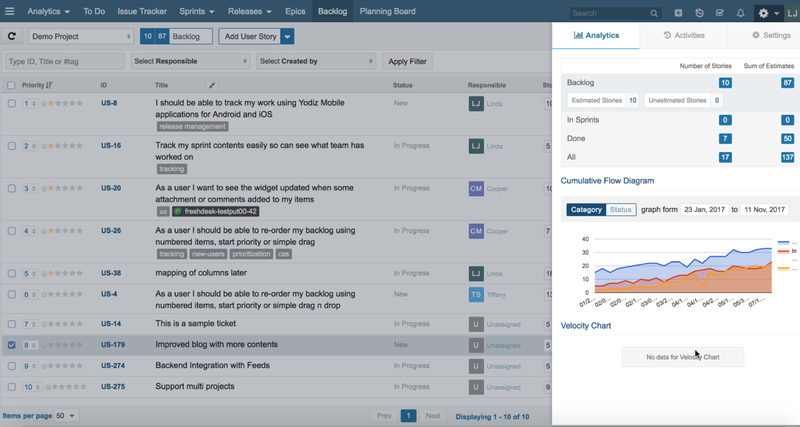 View multiple project data side by side, keep track of sprint sizes so you don’t overplan and enable swimlanes to view stories by Epics, Releases, size and more.